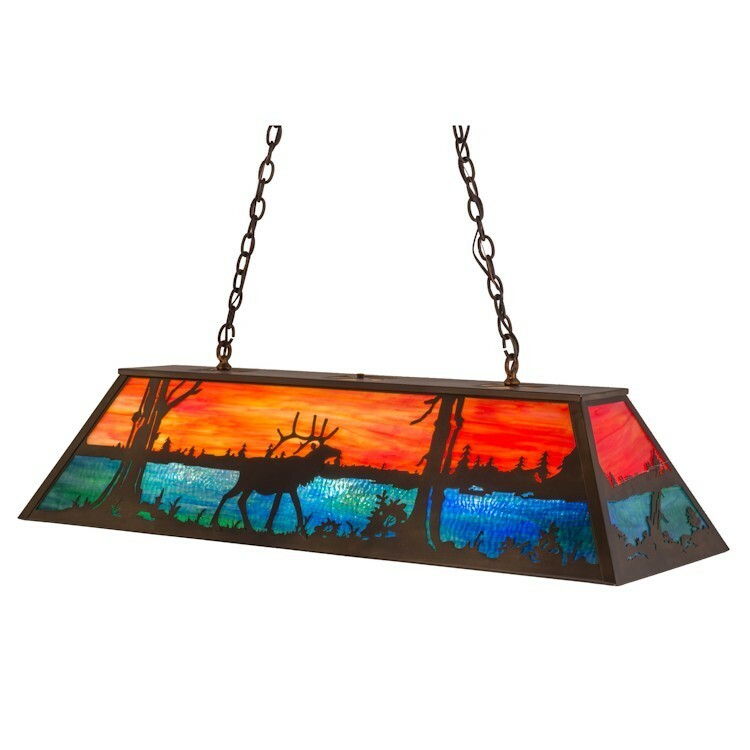 Natural charm is captured beautifully with this majestic Elk walking by a forest lake while the late afternoon suns lowers in the background of this stunning Elk Oblong Pendant Light. 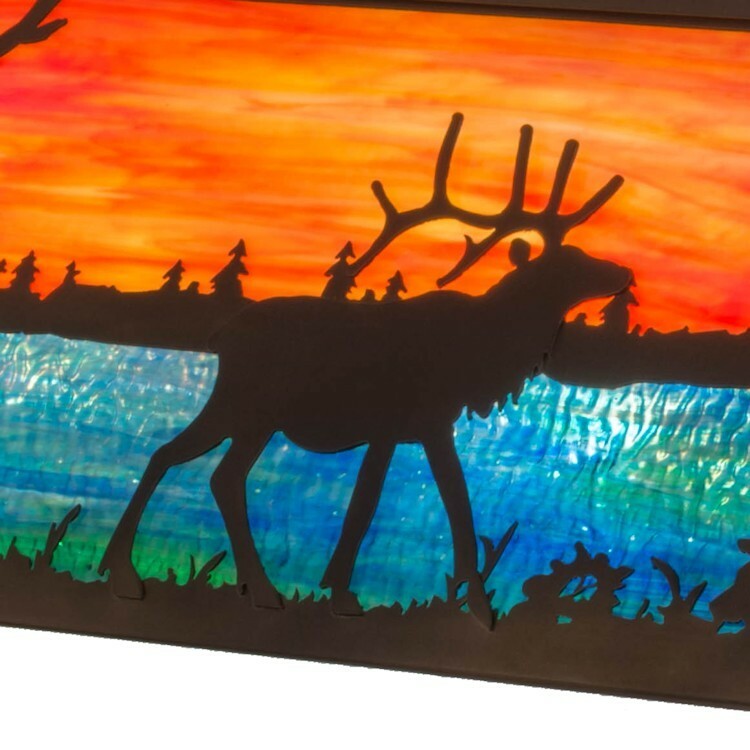 Soft ambient light projects through a vibrant Sunset colored art glass sky above sparkling waters in Blue-Green Wispy Ripple glass. This shade is enhanced with a frame and hardware featured in an Antique Copper. This pendant light is perfect for over kitchen islands, counters, dining and billiard tables.